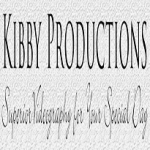 At Kibby Productions Wedding Videography we have been producing the finest wedding videos since 1997 in the Boston area as well as throughout Massachusetts in such areas as Cape Cod, Massachusetts North Shore, Massachusetts South Shore, Boston Metro West, Southern New Hampshire, and Southern Maine. Unlike other wedding videographers, Kibby Productions records your special day exclusively in ultra-high resolution and superb image quality of Hi Definition (HD) Format. We use only HD, broadcast quality cameras and HD digital editing software to assure you the finest wedding videos.